Homemade gifts from kids are great any time of year, but especially on Mother’s Day! I know I cherish all of the crafts and gifts my kids have made for me over the years. 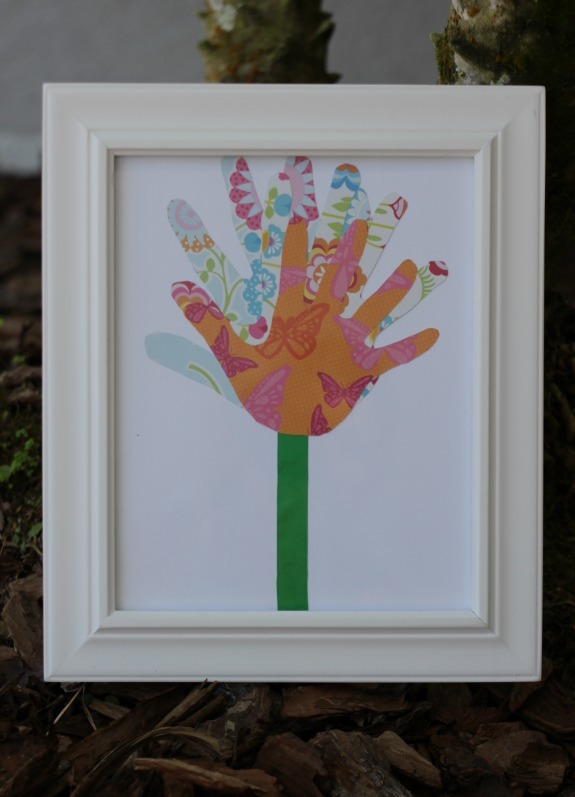 This sweet framed hand print collage makes a perfect kid made gift and a lovely keepsake. 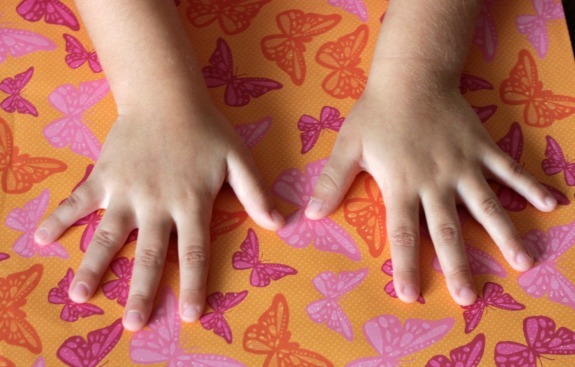 Begin by tracing each child’s hand on the scrapbook paper and cut it out. 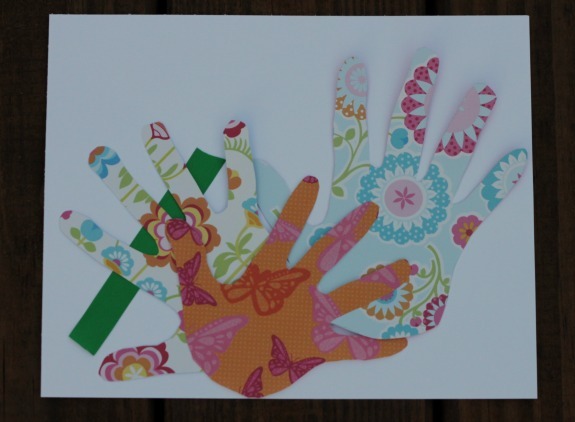 Cut out each of the handprints and cut a small piece of green ribbon. Use the double sided tape to assemble the handprints and ribbon into the shape of a flower. 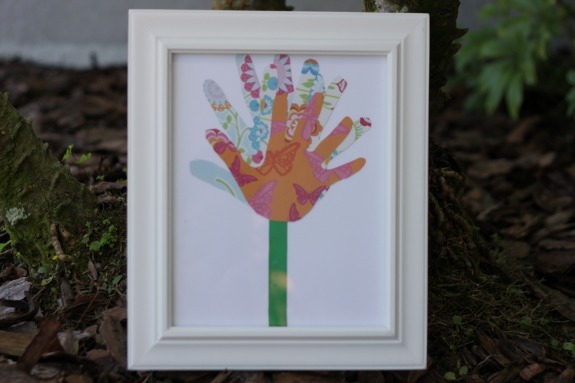 Place the handprint collage inside of the frame and give it to mom or grandma on Mother’s Day. I’m sure she’ll treasure it forever!